Aware of the Google Secret Games? Google Search has a new game hidden inside it. 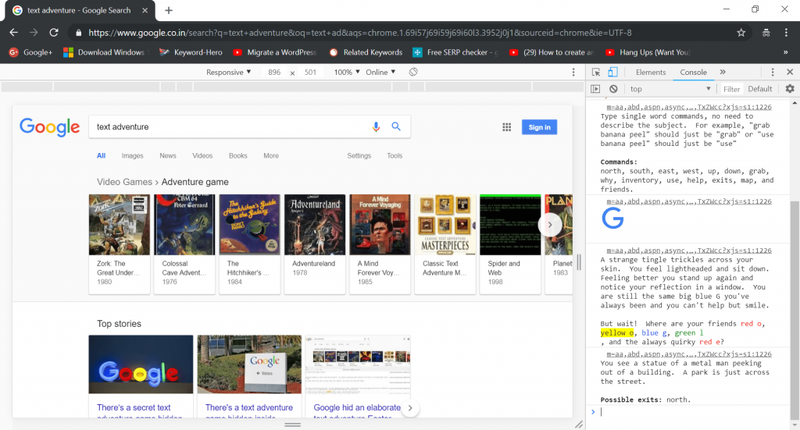 The blog post has instructions on how to find and play Google’s text adventure game while searching the web using Google search. Google is famous for hiding Easter eggs in its services. If you start exploring there are dozens of various easter eggs hidden across all the products portfolio. From Google Maps; Doctor’s TARDIS to Google Chrome; T-Rex game, you will find the secret easter egg. Recently, a Reddit user discovered a new Google secret game in Google Search. This time it’s a text adventure game. The game works flawlessly on Chrome, Firefox, and Edge, although while testing the game on Edge browser it was little glitchy. 2. Search for “Text Adventure” without quotes. You will get a list of a popular text adventure game. 3. Next, you need to launch Developer console. For that either right click and select Inspect from the menu or use CTRL + SHIFT + I (Windows) keyboard combo. In case, you’re using Mac OS, then try this command: Cmd + Option + I. 4. 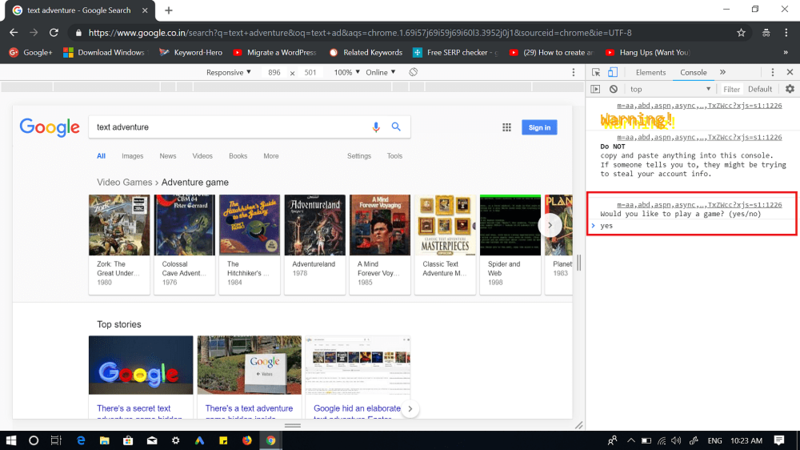 Here, click on the Console and you will start seeing a message which reads “Would you like to play a game?” You need to type Yes, this will unlock the Google’s hidden text adventure game. You will start seeing opening lines, list of possible commands accompanied by possible exits. In case, you’re the one who has never played a text adventure; then the premise is easy and straightforward. You need to read the scene and start typing possible commands to move the story ahead. 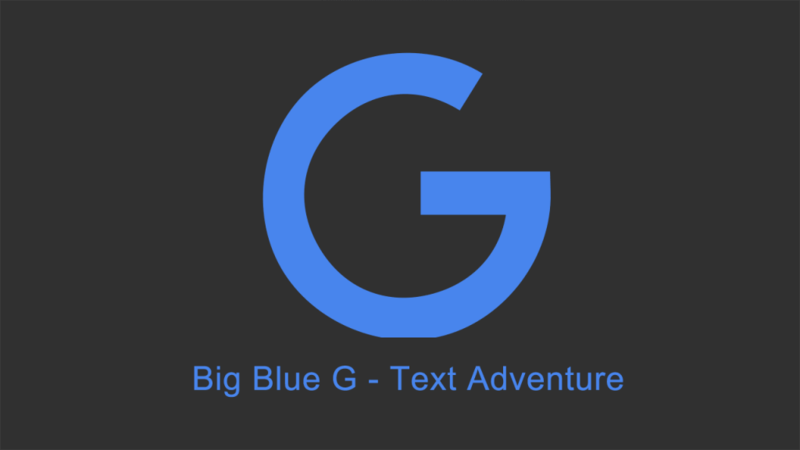 In this game, you have to play as Big Blue G of Google looking for your buddies. What are your thoughts about the new Google’s secret text adventure game? What are your favorite Google Secret Games? Do let me know in the comments.